In the past year, amid the extreme volatility in crude oil prices, geopolitical risks have intensified, and Asia remains a focal point within the global energy sphere. China’s downstream sector is undergoing unprecedented modernization. Domestic trading is also being deregulated, with the successful launch of the country’s first RMB-denominated crude oil futures contract. In refining, competition between the private and state-owned sectors is gearing up this year as mega projects come on stream. On the cusp of the next decade, China is entering a new era, reflected by rapid developments in natural gas and alternative fuels, although market access could remain challenging Listen to our unique insight and analysis and let us help you navigate the future. Mitsui & Co. Energy Marketing and Services (USA), Inc.
Roger Chen is the Vice President of JLC Global Sales and Marketing. In this role he manages JLC's offices in Beijing and Singapore and oversees the development and delivery of research and market intelligence on China’s energy sectors across all of the company’s content teams. A cross-industry expert and 29-year veteran of the oil and petrochemicals industry, his experience spans the gamut from crude oil trading, oil products trading, fuel retail management, to oil terminal investments and global strategy development and overseas market expansion. He was with BP China for 11 years, responsible at various times for the company’s strategic decisions in downstream petrochemicals, crude oil, fuel oil, methanol and other projects. He is a highly-regarded expert in the domestic market and has also facilitated other foreign oil companies’ entry into China through education on business culture and commercial best practices. In the course of the internationalization of Chinese companies and the localization of foreign companies, Roger has witnessed many changes in the market. He received an MBA from South Australia University. Charles Lawrie is a founding partner and director of Richardson Lawrie Associates Ltd, an independent firm of international maritime economists and business consultants established in 1987. He is responsible for establishing the firm’s consulting and retainer services in the crude oil, petroleum products, LPG and LNG and runs the firm’s services in the bulk liquid chemicals transportation sectors. 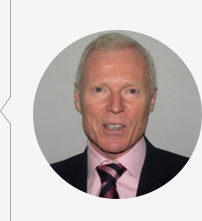 He has spent 47 years in the oil and shipping sectors, more than 37 of which have been as project manager or senior consultant on shipping economics, investment appraisals, feasibility studies, transportation strategies and business studies within Europe, the Americas, the Middle East and the Far East. He advises shipowners, large industrial concerns, storage companies, shipbuilders, financial institutions and government agencies on transportation strategies, trade developments, shipping market analyses and forecasting, logistics and planning Charles also has overall responsibility for the development of Revenue Distribution Systems for several tanker and chemical carrier pools. The work includes advice and guidance on the different approaches that may be taken and the gathering and interpretation of essential data. One feature of this work is the assessment of freight rates across a wide range of tanker sizes and trades and the assessment of the relative earnings capabilities of individual vessels in Pools. 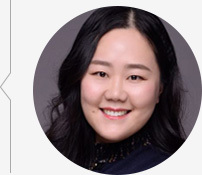 Amanda Zhao is the General Manager for JLC Global Sales and Marketing. She has over 7 years of experience in offering value added services and strategic insight in JLC’s oil and refining division. Amanda serves as JLC’s key representative in discussions with C-Suite executives and has been invited to speak in various domestic and international forums and conference such the Asia Petrochemical Industry Conference (APIC). 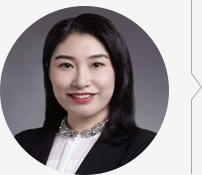 She also regularly briefs energy professionals from leading financial institutions and Fortune 500 companies in our forums on how the major political, and economic forces might play out in the future of China’s energy industry. In additional, she oversees the English editorial team and contributes regularly to JLC reports, research and consultancy projects. She holds a bachelor’s degree in Finance and Accounting from Brunel University, London. 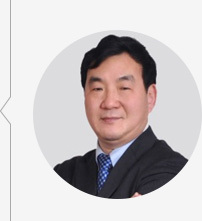 Tony Zhou is the Marketing Director of JLC Global. 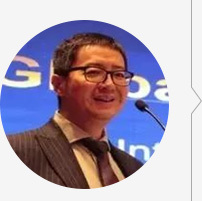 He has served as a senior management member at Bureau of Geophysical Prospecting (BGP) of China National Petroleum Corporation (CNPC) for 14 years and TOTAL E&P China Company for 15 years. Other international companies he worked with include Kerr McGee, Deutag AG, and Thomson Reuters based in China. Throughout his 38 years of oil and gas industry working career, Tony uses his rich industry knowledge and experiences to focus on the full value chain from upstream to downstream which includes business area such as LNG, crude oil and petrochemical products trading, commodity products market intelligence, data consulting and sales strategies to deliver customer value and drive business impact. He is recognized for his excellent coordination and major involvement for the international integrated oil and gas projects with TOTAL together with TOP China National Oil Companies (including CNPC, SINOPEC and CNOOC) on the Halfaya Oil Field Development Project in Iraq, South Pars-11 Gas field E&P and LNG Project in Iran, YAMAL Gas Filed Development and LNG project in Russia and Libra Ultra Deep Water Oil Field Development project in Offshore Brazil with CNPC, etc. Years of experience in networking and connecting makes Tony an influencer who has exceptional relationship building skills, and strong cross industry networks. He holds a BA in Geoscience from the China University of Petroleum. Maggie Han is the Chief Analyst for JLC's oil division. She has more than 10 years of commercial and management experience building on a strong understanding of the crude oil, oil products and oil blending markets. Her responsibilities include leading a strong team of oil analysts, supporting and contributing to market reports, research and analysis for the oil markets as well as providing specific data and insights for short and long term for capacity, supply/demand, price forecasting and trade balances. Energy Media interview Maggie and energy professionals seek for her views on oil industry issues. She can pinpoint market trends and interpret the market from multiple perspectives and has led many tailored research and consulting projects for energy clients from the leading financial institutions and Fortune 500 companies. She obtained a bachelor’s degree in International Trade from Xi`an Jiaotong University. Rosa Luo is the Senior Consultant for JLC who is responsible for in-depth research on China’s natural gas market. She has more than a decade of consulting experience in the energy sector and have successfully managed projects and work on market entry strategy studies for clients in the petrochemicals, oil and gas industry. 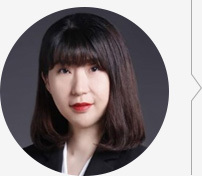 Throughout her career, Rosa has built strong ground on LNG supply/demand balances, trade and long to short-term price outlooks, prepares research and useful insights that provide analysis of critical market developments and trends for the China LNG market. Prior to JLC, she has also worked as consultant for ICIS as well as a project manager at SAI Consulting Company (US). Her major domestic and international clients include CNPC, SINOPEC, CNOOC and Shell, ExxonMobil, BP, Total and Qatargas. 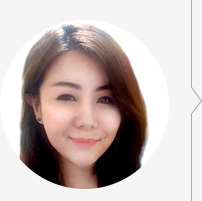 She holds a bachelor’s degree in marketing from Wuhan University of Science and Technology. Crystal Yeo is the Sales Director for JLC Global Sales and Marketing. She has over 20 years of professional experience, which spans from consulting, marketing, business development, sales leadership and management. Prior to JLC, Crystal heads the Singapore office of the Oxford Princeton Programme where she has been building and leading education excellence in energy for over 10 years. In her role, she is responsible for strategically steering all the sales and marketing activities to ensure successful and consistent growth in Asia. Back in the late 1990s, Crystal started her career as a Senior Sales and Marketing Consultant for SunGard Energy where she supports the achievement of business targets for profitability and customer satisfaction by providing enterprise data management, decision support, and quality-checked managed data services to energy traders, research analysts and risk managers from leading financial institutions and Fortune 500 companies. Crystal possesses a BA Honors in Marketing from Coventry University, UK. JLC with headquarters located in Beijing, and branch offices in Shanghai, Shandong and Guangzhou, Nanjing and Singapore, is a leading provider of market intelligence and pricing solutions for energy and commodities in China. We serve over 1.34 million clients for more than 15 years and our vast experience with domestic and international clients ranges from emerging businesses to Fortune 500 companies and leading financial institutions. We specialized in providing the transparent, high-value, authoritative market intelligence and professional analysis through reports, news, database, research and consulting. 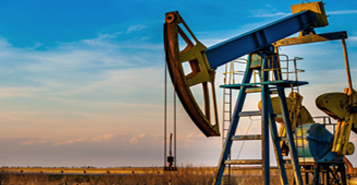 Our expertise covers oil, natural gas, chemical, plastics, rubber, fertilizer, coating materials, iron & steel, non-ferrous metals, coal, agricultural industry. We have more than 1,500 employees and over 600 of them are knowledgeable analysts, editors and thought-provoking market experts who provides reliable global and domestic market information together with over 80 JLC annual industry trainings, forums and conferences every year.